Blunt and Krasinski aren't crying after this weekend's massive opening. If anything is true this past couple years, it's that horror is proving to be a massively viable genre in today's cinematic market. With films like Get Out and IT having huge box office draws, people are once again flocking to theaters to be scared out of their pants. This weekend was no different. 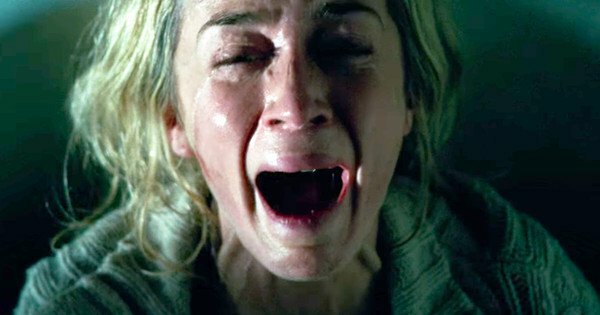 John Krasinski's new original horror entry, A Quiet Place took the number one spot with an epic $50 million domestic haul and another $21 million worldwide. Set against a small budget of only $17 million, the feature's tally sits at $71 million after just one weekend in release. The film got positive press at SXSW which also helped amp up early buzz. This is also great news for Paramount which has suffered some financial casualties over the last 2-3 years. Spielberg's latest film, Ready Player One slipped to second place with the new comedy, Blockers doing fair in the number three position. Black Panther has finally started to slip as it was in the fourth place. I Can Only Imagine took the fifth spot. Sadly enough, the phenomenal Chappaquiddick made a little less than $7 million in its opening frame, leaving it in the seventh slot.